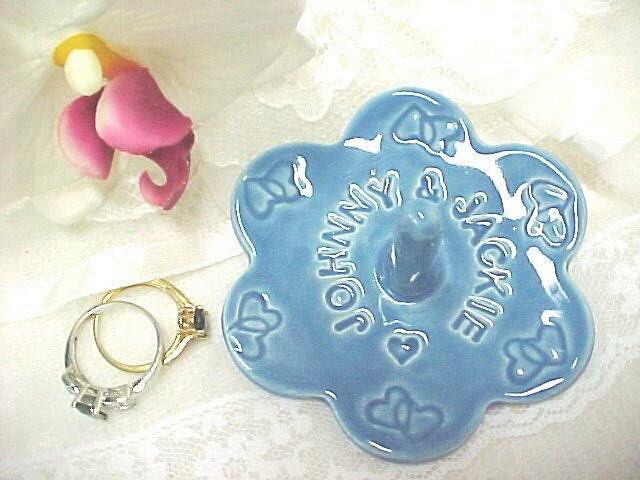 This Wedding Dish to hold your ring will be Personalized with your Custom Names for a unique & lovely gift! Perhaps as wedding favors or bridesmaid gifts! White glaze has NO icons, since they don't show up. of names and the & symbol. I can make the letters Black, if you'd rather. Just tell me in the Note to Seller at checkout! Otherwise, letters will be same color as glaze.